Beutiful Antique indoMAZLAGHANI rug, very nice colours and desigin combination,No holes No repaires, condition is very good for the age. 3888m Size: 200 x 125 cm 4`2 x 6`6 ft.
5 Beautiful Antique indoKARAJA rugs, very interesting colors and design combination,, NO repairs, NO repaires. 2`4 x 4`5 and 2`5 x 4`3 and 2`1 x 3`and 2`x2`7 and 2`1 x 2`9 ft. Ref.no.12800 SIZE: 136 x71 and 128 x 74 and 89 x63 and 82 x 61 and 88 x 62 cm. Beautiful Antique indoBAKHTIARII rug, very interesting colors and design combination,, NO repaires, condition is very good for the age,on very small place foundation is visible. Ref.no.12789 SIZE: 312 x 204 cm 6`8 x 10`3 ft.
Beautiful Antique indoLILIANI rug, very interesting colors and design combination, No holes, No repaires, condition is very good for the age. 3`8 x 5`1 and 2`3 x 3`9 and 1`4 x 1`9 ft. I had this rug appraised this is what they said. This is a kilim rug or runner the term 'kilim' is used for wool woven rugs from the areas that were once the Ottoman/Turkish Empire. Yours are also wool and appear to use both natural and aniline dyes. It is Native Indian in style and would have likely been made around Chimayo, which is in New Mexico in the US. They date to the 1920s. In good condition with evenly low pile, and lots of age-wear. small loss of wool in one corner. Antique (411). Pile: Cotton. Round (35). Hand Weaving. Dusty Rose. Field Color Foundation: Cotton. Age: 1900s. This carpet is in good condtion, it has no worn pieces or anything. It is an authentic antique item, that truly shows the beauty of the Perzian ages. The bright colours turn any dull room into a perfectly stylish, luxurious, and nice room. 3890m Size: 162 x 111 and 103 x 62 and 65 x 57 cm. 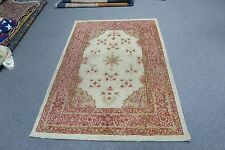 Beutiful Antique indoHERIZI rug, very nice colours and desigin combination,No repaires, one corner has a hole and needs to be repaired. Ref No. 3898m Size: 336 x 248 cm 8`2 x 11`9 ft. 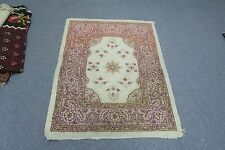 Antique cotton Agra, northern India circa 1900. cotton on cotton foundation. Beutiful Antique indo SARUGH Mir rug, very nice colours and desigin combination,No holes No repaires,condition is very good for the age. one ends needs to be fixed. 3900m Size: 164 x108 cm 3`6 x 5`4 ft.
2Beutiful Antique indoHOSSEYNABAD rugs, very nice colours and desigin combination,No holes No repaires, condition is very goo for the age. 3892m Size: 185 x 120 and 155 x 104 cm. 3894m Size: 285 x 69 and 147 x 57 cm. Antique cotton rug woven around 1910s in Agra, northern India. cotton pile and cotton foundation. washed and ready to use rug. 3891m Size: 260 x 70 cm 2`3 x 8`6 ft. Beutiful Antique BAG, very nice colours and desigin combination,No holes No repaires,condition is very good for the age. 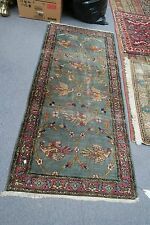 3896m Size: 158 x 92 cm 3`1 x 5`2 ft.
Beutiful Antique KOLIAII rug, very nice colours and desigin combination,No holes No repaires, condition is very good for the age. 3893m Size: 238 x 134 cm 4`4 x 7`9 ft. 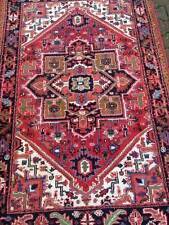 Handmade antique Indian Loristan rug. -style: Loristan . -size: 4.1' X 8.9' (125cm X 271cm). -circa: 1910s. One Royal Art. Size: 11' X 14.8' (335cm X 451cm). Handmade antique Indian rug. -style: Indian. One Royal Art. -background colors: navy blue, beige, burgundy, orange, green, sky blue. Origin : India, Agra ( Northern India. Pile : wool. foundation: cotton. ). Rug V # 17231. FREE Trial! With exact size of 10' x 14' 2" Detailed design with many beauti ful colors including Blue,Ivory,Green,Gold,Yellow Etc. over a Multi-Colored field background.Perfect condition Sides and edges complete and original.wool woven on wool foundation.